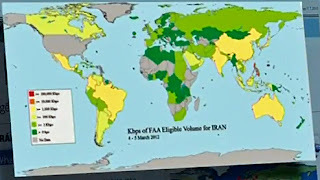 Examples of such selected, authorized traffic can be seen in a number of slides that were shown in a Fantástico report from July 9, 2013. They are from a presentation that has not yet been released. 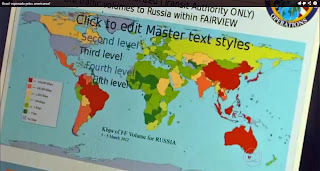 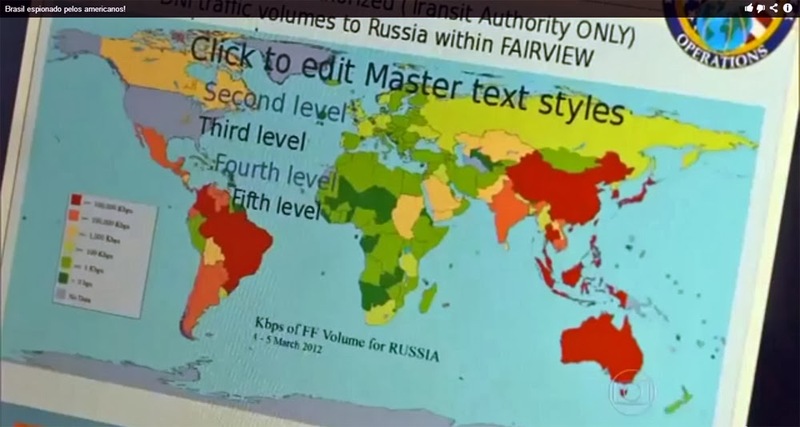 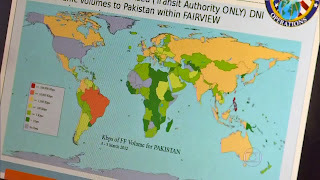 These slides contain maps, which show the amount of internet traffic to countries like North Korea, Russia, Pakistan and Iran, as seen on March 4-5, 2012. 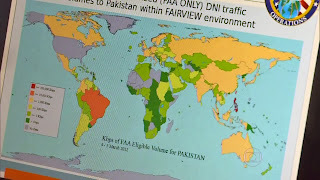 In the first slide we see for example internet traffic (DNI) to Pakistan, which has been determined to be foreign-to-foreign and may therefore be collected under Transit Authority. 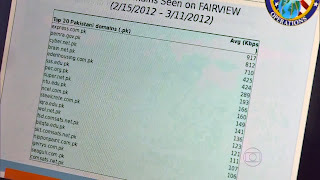 As such, front-end filters forwarded this traffic to the selection engines for further filtering. 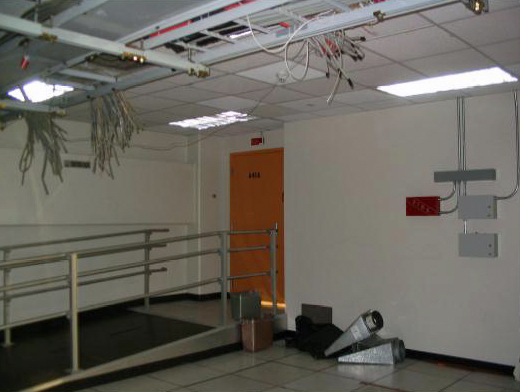 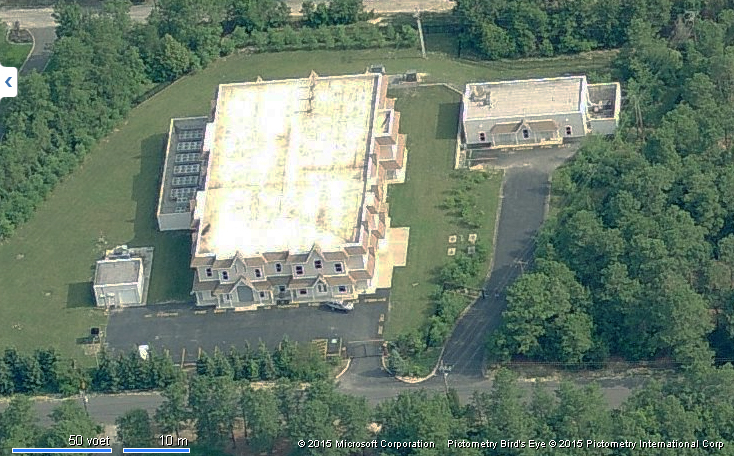 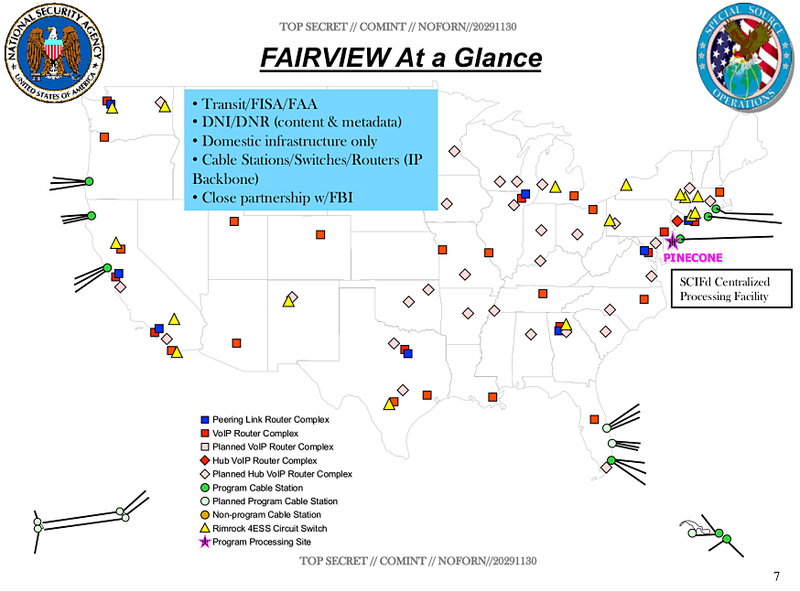 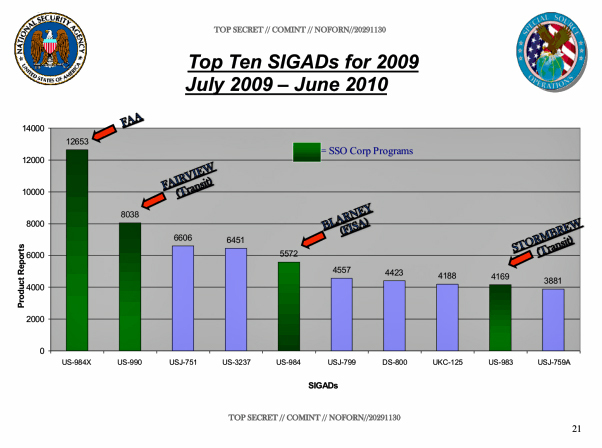 The over 6 billion records for FAIRVIEW account for only 3,75% of the total number of data the NSA collects through its cable tapping programs, which is remarkably small given the large number of access points at major internet cables and switches. 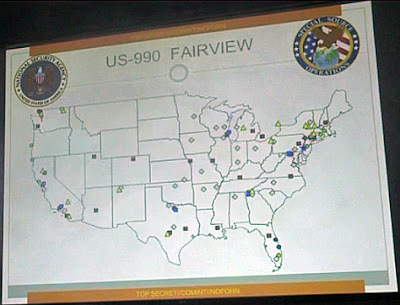 The FAIRVIEW map also mentions a close partnership with the FBI. 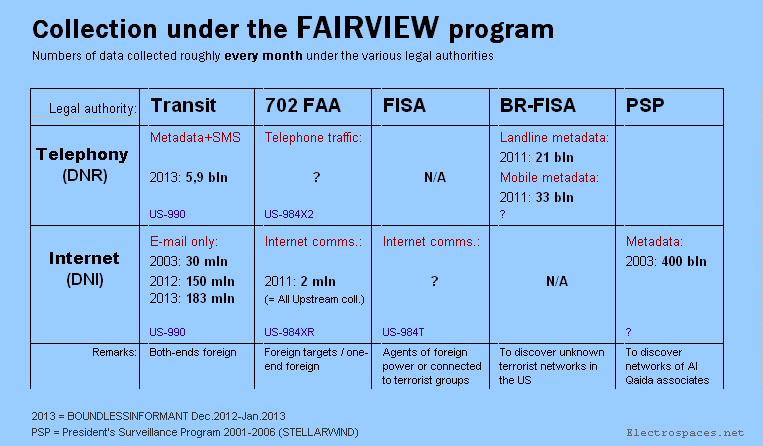 Under the PRISM program it's the FBI that actually picks up the data at the various internet companies, but for Upstream collection, like under FAIRVIEW, that's not the case: here the NSA has a direct relationship with the telecoms. 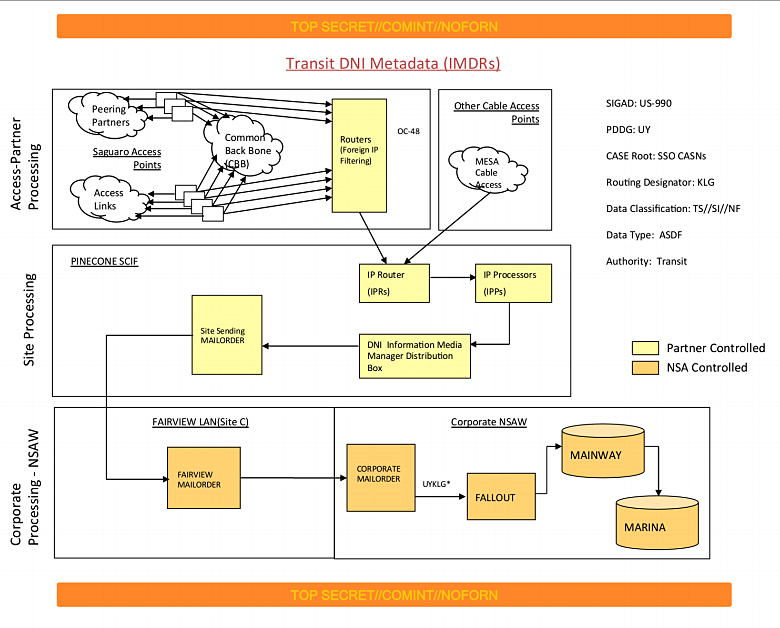 It is still remarkable that AT&T was able to forward 400 billion metadata records a month just from its foreign communications: in 2012, the total number of internet metadata that NSA collected worldwide was "just" 312 billion a month. 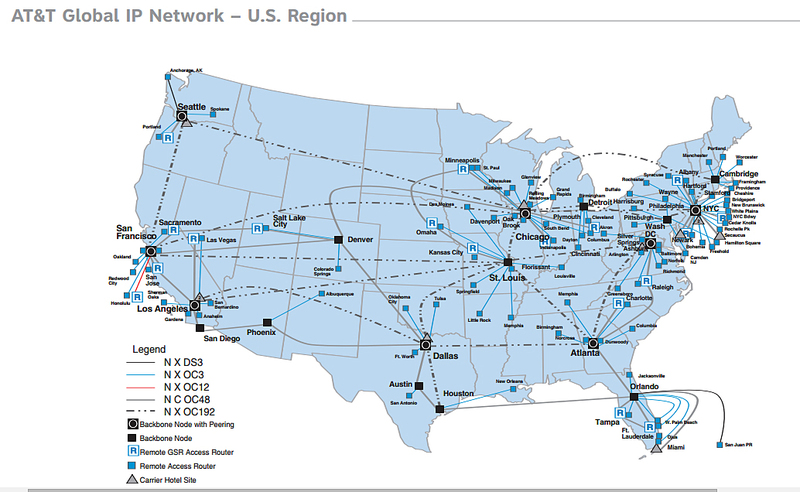 And for the very first time we also have some numbers now: the total of 1,8 billion a day provided by AT&T make 54 billion a month and about 650 billion phone records a year. 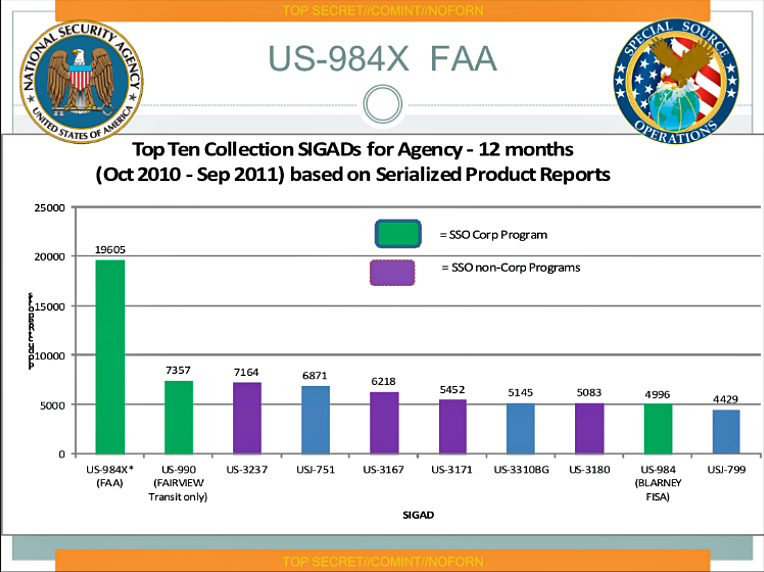 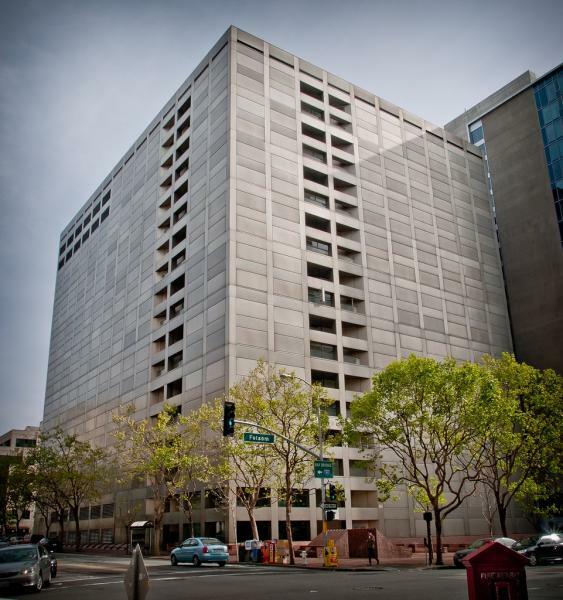 For comparison, in 2012, NSA's regular foreign collection resulted in a total number of 135 billion telephone records a month and 1,6 trillion a year.